Even non-players recognize what a putter is. Despite the bewildering array of clubs each manufacturer debuts each year, your choices still boil down to a few simple types. Each has its own purpose, and each developed to make certain shots easier for players. Golfsmith carries a wide variety of clubs and provides information to help you determine which ones best suit your game, but all of them fit into these categories. “The big lumber” has one main purpose in a golfer’s game—to hit the ball as far as possible. Because the ball is perched on a tee, drivers are designed with large heads that minimize backspin and create a large “sweet spot” where the ball can be hit with reasonable accuracy, even if the player does not strike it perfectly. When you are looking for accuracy—in direction and distance—you want an iron. 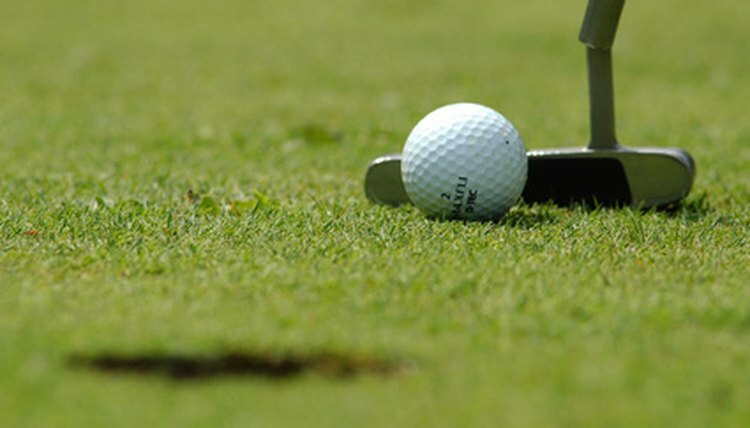 The flat face requires you to hit the ball squarely, but rewards you with control. Irons are numbered from one to nine (conveniently grouped in threes by most players), and the higher numbers have more loft—the 1- to 3-irons, called “long irons,” have been largely replaced by hybrids; the 4- to 6-irons are called “mid-irons”; and the 7- to 9-irons are called “short irons.” Irons are often divided into “game-improvement irons” and “player’s irons”—the former are easier to hit, while the latter are more often used by very good players because they can more easily tell if they mis-hit them. Another group of very short irons with more loft and heavier soles are called wedges, and are often referred to as the “scoring clubs” because they are so useful between 100 yards out and the green. Wedges typically have between 48 and 64 degrees of loft, and are divided into four categories—from least to most loft, they are the pitching, gap, sand and lob wedges. Everybody recognizes the putter. It is a relatively flat-faced club--less than 10 degrees of loft--used on the green or from the collar just off the green. The two types of putters, easily identified by the shape of the head when you set up to putt and look down at it, are “blade” putters with long thin heads and “mallet” putters with large blocky heads, often of various shapes.